Backsplashes–originally destined to protect the walls in your kitchen with little to no fanfare–have come a long way. Today’s variety of style makes it easy to use them as the focal point of a room. Some backsplashes can help draw together the color scheme of your kitchen or it can simply be a finishing touch to the overall design. No matter what your purpose, consider giving some attention to this useful and easy enhancement feature of your home. The cooktop is where kitchen magic happens, so enhancing the area in your direct line of sight right above it is a must. This will most likely be the largest space to work with since the microwave, upper cabinets or hood will need to extend to a certain height, making this a perfect showcase area. Make sure to keep the wow factor going by installing your backsplash pattern behind the sink, on an adjacent wall to your cabinets and above a built-in desk if you have one. Accents: Tying the look of the counters in with the backsplash using accent tiles can add a burst of color and brighten up the room, while providing a consistent pattern and flow to the kitchen. Murals: To make your kitchen unforgettable, consider a mural-style backsplash. Inspiration may come from a favorite picture, map or painting you love. This concept uses stone, glass or ceramic pieces to give your kitchen a custom-made look according to your specific tastes. Statement Tiles: A modern-themed kitchen is a great place to showcase a statement tile look. Unusual shapes and unexpected colors in a variety of glazes make for a truly unique cooking area. 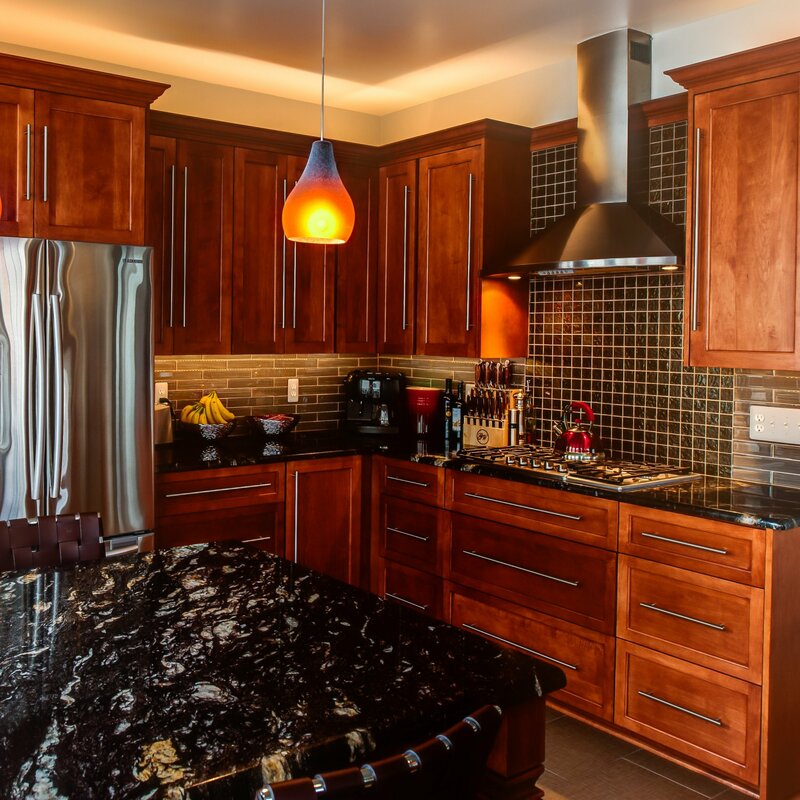 When it comes to drawing attention to your backsplash, don’t be afraid to be bold and exciting in your choices. Let the colors and textures in your kitchen be your guide to deciding the best look for the room. Try this simple upgrade today! 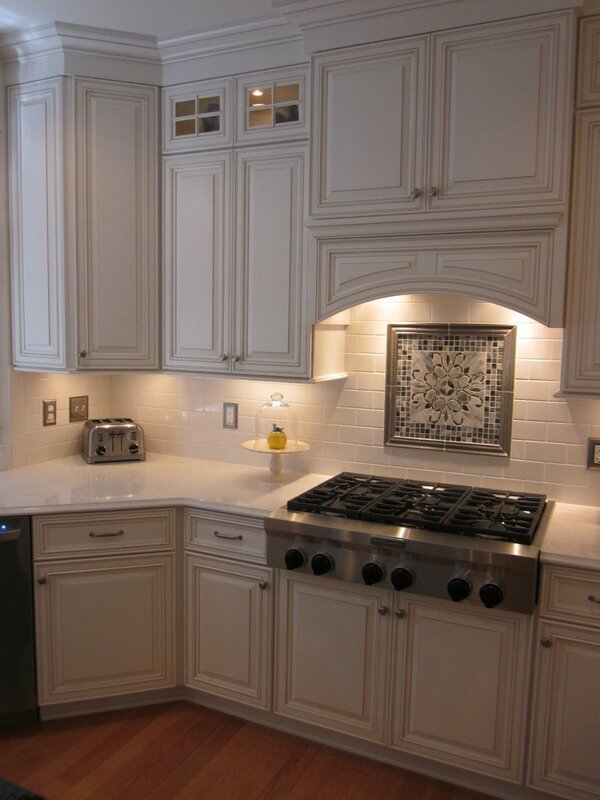 At Conestoga Tile, we are always happy to help if you have any questions about the best backsplash for your kitchen.